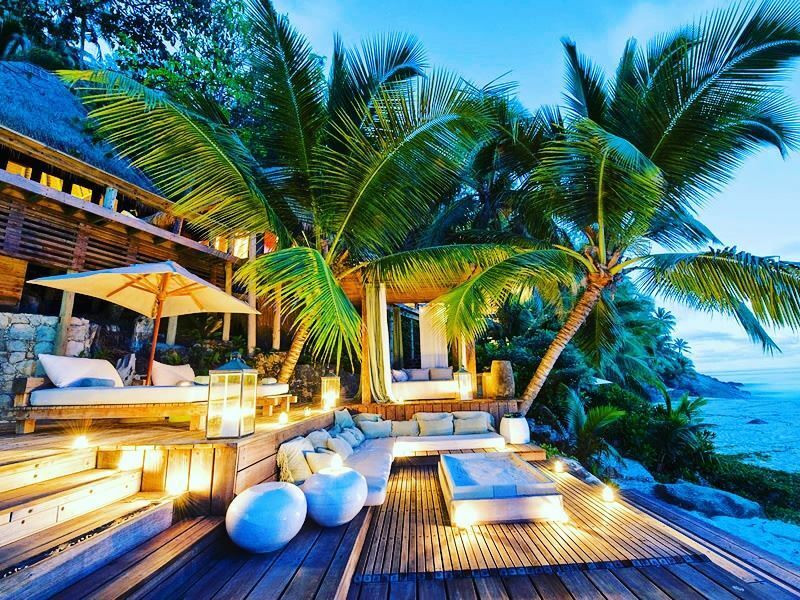 The Seychelles are a popular destination for a luxury vacation – and for good reason. Breath-taking views of tropical landscapes, dazzling accommodation, indulgent spas, unbeatable snorkelling, and fresh, local cuisine – what could be better? 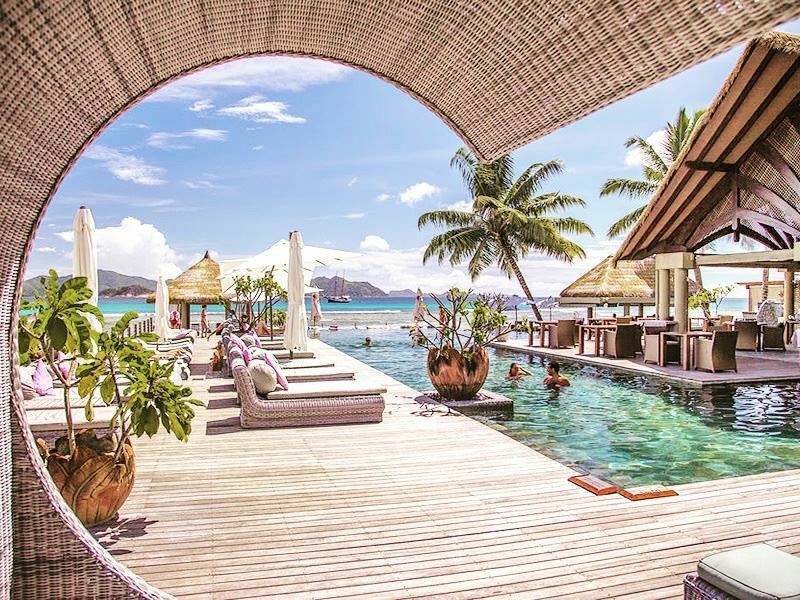 There are so many amazing hotels here, but we’ve collated what we think are the 10 best luxury hotels in the Seychelles. 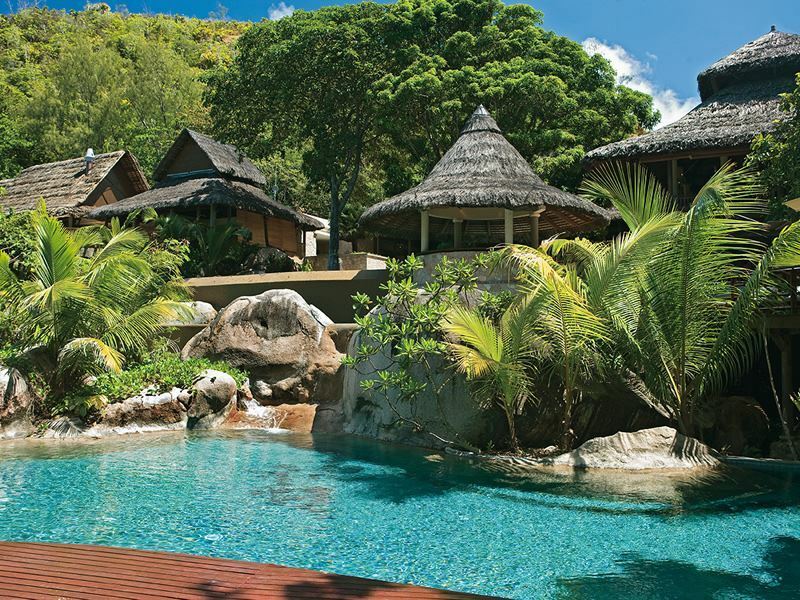 From barefoot luxury to complete extravagance, the Seychelles is home to a variety of styles that will suit every taste. The setting: This romantic retreat is located on its own mountainous island, only a 10 minute boat ride from Mahé. The scene: True romance can be found on this intimate, idyllic hotel. 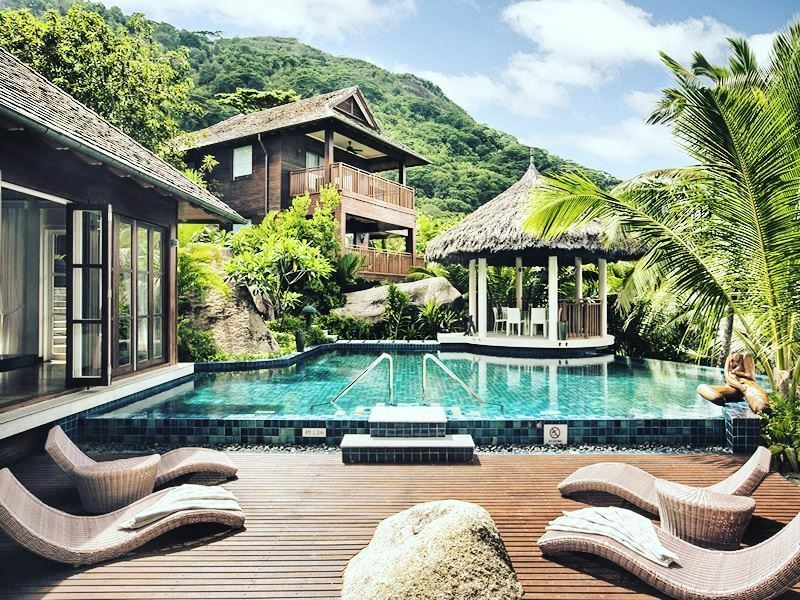 Blending Seychelles’ colonial past with a touch of modern glamour, this hotel is truly indulgent - offering a beautiful hillside spa, a scenic restaurant and bar with incredible ocean views, and lovely accommodation. Set within a marine park, the topaz blue waters you see in the photos aren’t Photoshopped in the slightest – and this amazingly clear sea is the perfect location for snorkelling or kayaking. The stay: Nestled in the hotel’s tropical, flora-clad mountains, the villas offer unbeatable views of the island, as well as direct beach access and their own lavish infinity pools. With private dining available, including breakfast in bed or a picnic on the beach, you don’t even have to leave your gorgeous hideaway the whole time you’re visiting. The best bits: Up high in the hills lays Serene Spa, an opulent oasis designed to give visitors pure privacy and relaxation. The treatments themselves are gorgeous and revitalising, but the views you’ll be graced with are second-to-none. Bliss. The setting: Set in north-east Praslin’s jungle clad hillside, the views here are phenomenal. The scene: As soon as you enter Raffles’ doors, you’ll instantly feel like royalty - with panoramic views of luscious jungle and luxurious villas, this is a hillside paradise. Embodying the Raffles’ signature ambience of serenity and relaxation, a stay here will leave you feeling completely revitalised and pampered, with an indulgent spa, gorgeous swimming pools, international gourmet food, and plenty of scenic lookouts. The stay: Climbing high up in the verdant mountains, these villas are a little slice of heaven. 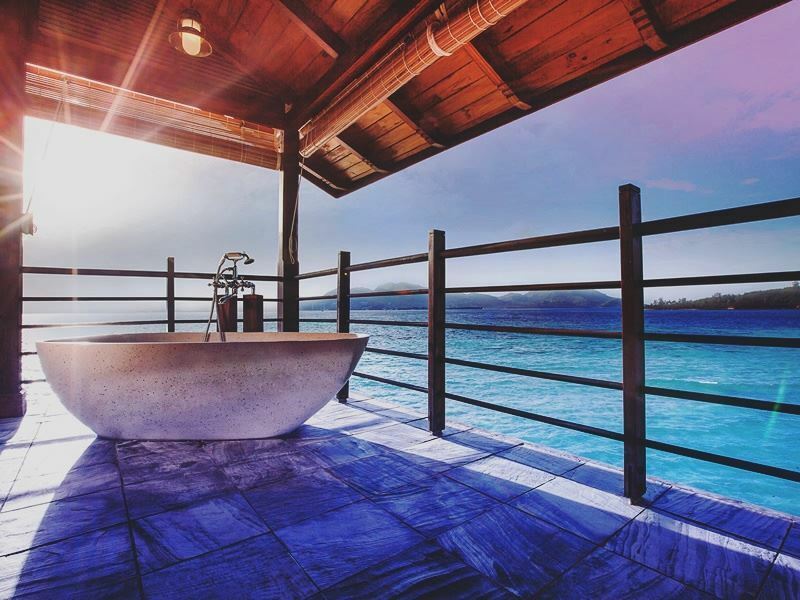 You’ll feel special as soon as you open your doors for the first time – with a plunge pool overlooking the island, a cosy outdoor cabana, extravagant décor and floor-to-ceiling windows, this is Seychelles accommodation at its finest. The best bits: Raffles is well known for its remarkable spas, and this one is no different. The décor truly embodies the hotel’s natural surroundings, the boardwalks and public areas making you feel like you’re wandering through a magical jungle. The spa pool and Jacuzzi are sumptuous, but two of the treatment rooms here are truly spectacular – offering steam showers, Japanese soaking tubs, and private observation decks so you can be at one with nature. 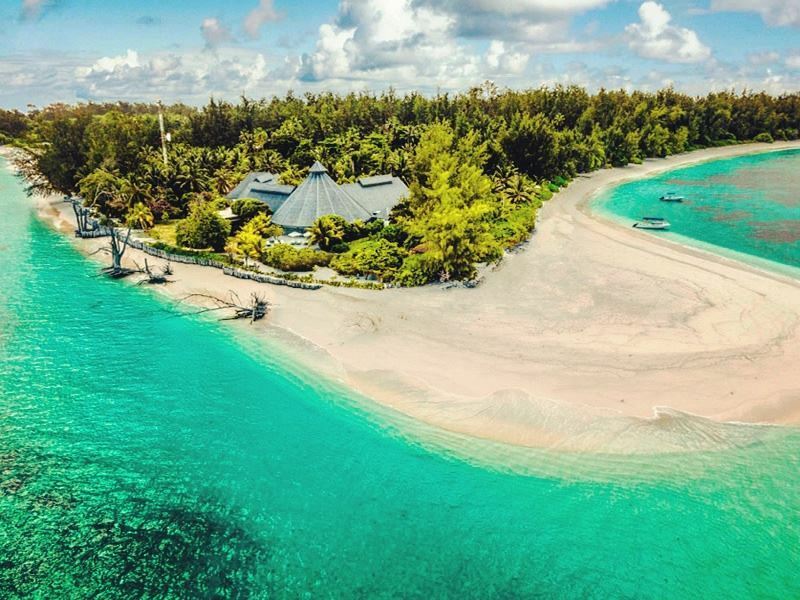 The setting: This fantastic beach resort is found on its own historical island, only a 10 minute boat ride from Mahé. The scene: Towering mountains, lush gardens, azure waters and white sand beaches – this hotel has the full package. The hotel uses its surroundings to create a natural oasis, with magnificent boulders, exotic trees and sandy pathways creating a beautiful canvas for an island vacation. The island is steeped in history too, including being the first inhabited island in the Seychelles. Now the island is full of visitors lapping up the sun and the luxurious amenities, including excellent restaurants like Le Robinson with its driftwood tables and chairs nestled in the sand, an immaculate swimming pool, and three fabulous beaches. The stay: 87 villas are nestled on this beachfront resort, 29 of which have their own delightful private pool. The décor here is quite minimalist, with a hint of Moroccan glamour and a few pops of colour, blending both comfort and luxury to create a perfect, relaxing harmony. The best bits: Surrounded by one of the largest marine parks in the Indian Ocean, this is one of the best places to go diving and spot a variety of incredible marine life – the photos don’t lie, the water really is that shade of blue. With three wide stretches of powdery white beaches to choose from too, you won’t be short of a place to relax and feel the sun on your face. So fling yourself into a hammock under a palm tree and while away the afternoon with a good book. The setting: Located in the verdant island of Mahé, near the popular Beau Vallon Beach. The scene: This chic hotel just oozes that boutique vibe, a small yet perfectly formed hotel with a luxurious ambience and just as extravagant exteriors and interiors. The picturesque gardens, beautiful beach and fabulous, quiet pool add to the slow, serene feel this hotel conveys, offering a place for solitude and relaxation. Your stay will certainly get off to a luxury start with the extravagant lobby, full of glistening Moroccan décor and colourful mosaics, whilst the restaurants here are truly decadent. For a romantic evening, book a table at Tete-a-Tete, a beautiful beachside dining experience. 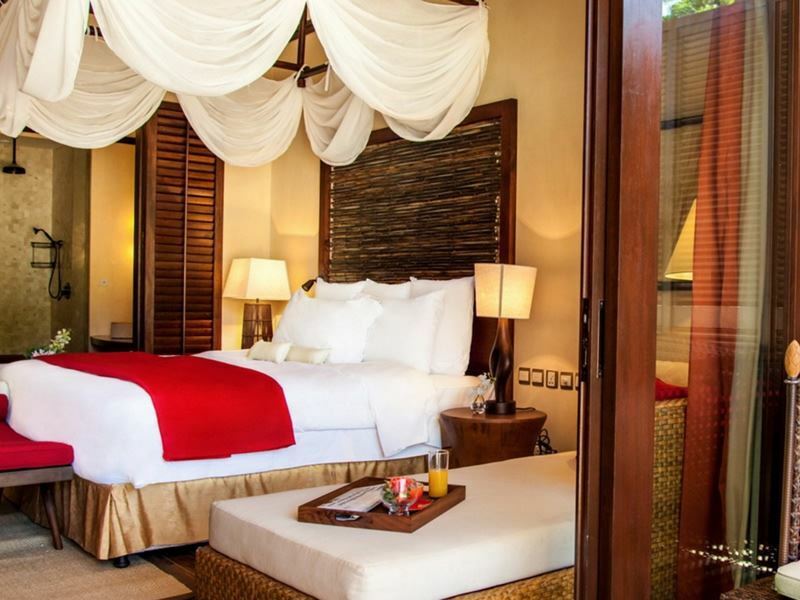 The stay: The suites and villas here are striking, with sleek, elegant décor making you feel like royalty. The Beach Villa is luxurious, but why not go a step further with a Grand Beach Villa? As well as pretty décor, a private pool and access to the beach, you’ll be given a personalised butler service and an outdoor kitchenette – divine. The best bits: Fancy a spa treatment with a difference? The shower room in the hotel’s Sesel Spa is a truly spectacular and sensual experience. Relax in the beautifully decorated room and let yourself be pampered with rejuvenating rubs and scrubs, before being given a high pressure shower to awaken the senses and leave your skin feeling supple and soft. This is certainly pampering at its best. The setting: This romantic hotel is found on the north-western side of La Digue, only a minute’s drive from the ferry terminal – easy. The scene: This hotel was designed to encompass the beauty of gardens, sea and mountains, creating a truly special feeling of being at one with yourself and with nature. The lush gardens that surround the lower villas and suites make you feel like you’ve found a secret hideaway, whilst the beachfront lobby, restaurants and pool really hone in on that laidback beach vibe, offering dynamic views of the sea and a calm ambience. Meanwhile, the villas and magnificent spa high up in the luscious hillsides feel as if you’re relaxing in the wilderness – with incredible views of the island and a peaceful atmosphere away from the world. Oozing romance and opulence, this is certainly a secluded, romantic retreat. The stay: Amongst the bright flora in the gardens lay the Garden Villa and Garden Suite Residence categories, whilst further up the hills you’ll find the lavish Villa de Charme and Villa de Charme Elegance, as well as the exceptional Villa Presidentielle. All have beautiful views no matter where you reside, but we love the Garden Suites with their spacious terrace overlooking a trickling lake, starry ceiling, and sleek décor. The best bits: Grab your sunglasses and sun cream, the sumptuous pool here is a treat. Embodying a romantic feel, the main pool overlooks the sparkling sea and the surrounding islands, oozing serenity and relaxation as you lay back in your double sun lounger and sip on an ice cold cocktail. The setting: This fantastic resort resides on the granite island of Silhouette, a 45 minute ferry ride from its own terminal in Mahé. The scene: As soon as you reach the dock, your magical vacation will begin. Taking you through a winding, lit up boardwalk and through a small village, you’ll soon arrive at the luxury 5* resort with its large, fancy villas and myriad of dreamy amenities. You won’t be short of swanky three course meals here - there are seven restaurants to choose from, including Italian and Asian cuisine, and all offer grand architecture and even better cuisine. Even the breakfast buffet at Café Dauban has at least five variations of honey and jams – homemade papaya jam on toast, anyone? The spa isn’t short of spectacular either – built into the boulder-clad hills, its natural surroundings and holistic treatments are certainly a treat. The stay: A glamorous stay is on the cards at this resort’s five villa categories. Close-by to the main swimming pool and restaurants, you’re never far away from the resort’s luxury amenities, and yet your villa will feel like your own little oasis – beautiful, intimate villas offering silky, minimalist décor, and gorgeous views. The Deluxe Hillside Pool Villas are very lavish indeed, with their own private gardens and a private pool, or stay in a Deluxe Beachfront Villa for added direct beach access. The best bits: The vast landscape here is incredibly beautiful and immaculate. Stunning pools are surrounded by towering, exotic trees, open-air restaurants stand proudly in the middle of trickling water features, and the powdery white stretch of beach offers an unbeatable view of the Indian Ocean. The beaches here are certainly unrivalled – we’ve never felt sand so soft – and be sure to look out for Simone’s house near the lobby, where a friendly white crab resides. The setting: This vast resort is located near Grand Anse beach in Praslin. 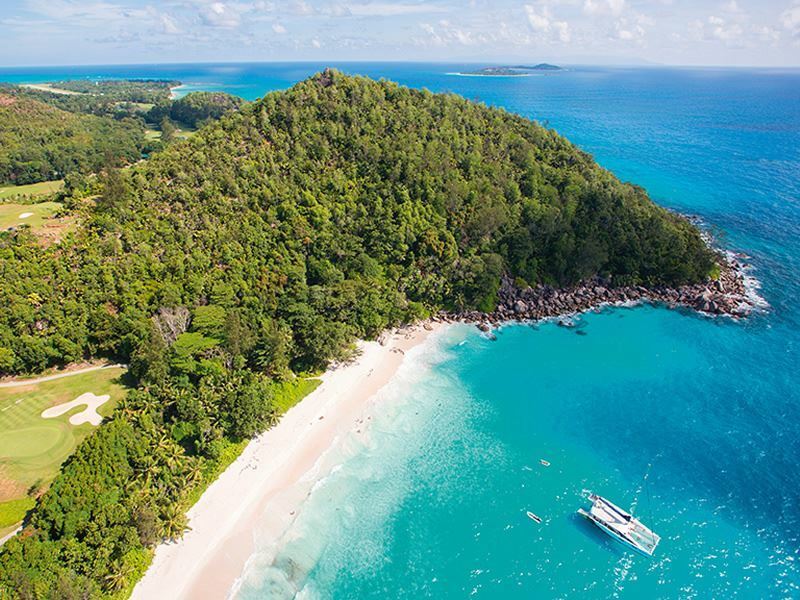 The scene: With the only golf course in the Seychelles, Constance Lemuria already has the upper hand as a popular resort. Of course, the golf course plays a big part in its popularity, but overall the luxurious yet chilled out beachside ambience is what gets people coming back for more. With a fantastic three tiered pool, two beautiful beaches on site, the completely unspoiled beach, Giorgette, nearby, and incredible views from every point of the hotel – especially Legend Restaurant and Beach Bar & Grill’s unbelievably scenic balconies and the top of the golf course – this hotel is certainly a treat. There’s plenty to keep you occupied too, including tennis courts, non-motorised water sports, a health and beauty spa, and even turtle hatching on the beach at certain times of the year. The stay: Constructed from wood, marble and pink granite, the suites and villas here embody a tropical feel from the outside. Inside, the interiors are minimalist and immaculate, with very modern amenities and timeless furnishings. Choose from the open plan Junior Suite, or the Senior Suite with its separate living area, or really indulge with a One Bedroom Villa or the swanky Presidential Suite. The best bits: if you fancy the most romantic dinner for two, ask for a private dinner on top of the hill near Beach Bar and Grill – used for a private dinner venue or even for weddings, you’ll be graced with complete seclusion and panoramic views of the Indian Ocean. The setting: Nestled on its own stunning granite island, only a 20 minute helicopter ride from Mahé. The scene: We’re sure the fact that William and Kate spent their honeymoon here will be enough to sway you, but we’ll tell you about the hotel anyway. With luminous white-sand beaches and unspoiled forests, this intimate hotel truly embodies the island lifestyle – laidback, utterly romantic, and wonderfully secluded. It really is the simple life here - relax on the beach, tuck into delicious cuisines, and walk around the picturesque island barefooted as you while away the day. The stay: With only 11 villas, you’ll be sure to feel like you’re in your own little world. The villas themselves are simple yet luxurious, like your own private beach house, and made from local materials, whilst the refreshing décor plays on its beach location. The best bits: The laidback lifestyle is luxury at its finest – sometimes you don’t need anything at all to feel incredibly relaxed and blissful. Spend the day however you please, wear whatever you like, walk around with no shoes, and let the island lifestyle revitalise all the senses. 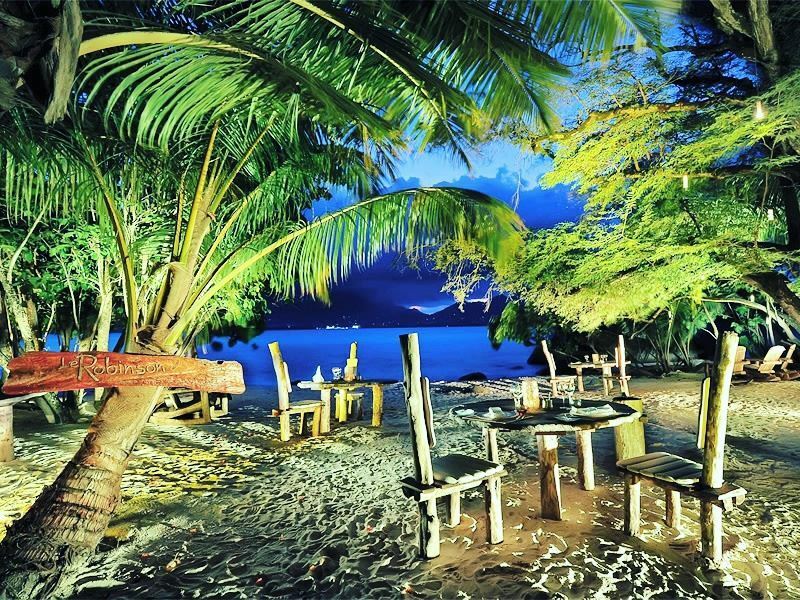 The setting: This hotel sits along the western coast of Mahé, near Anse Louis beach. The scene: This is a tropical paradise full of natural wonderment, unbeatable accommodation, and exquisite attention to detail. Priding itself on its incredible flora, daily gardeners come by to keep everything looking strikingly beautiful, making the pathway to your secluded villas scenic and serene. The atmosphere here is truly romantic – the unspoiled settings, delightful spa, quiet pool area, Balinese style décor and sumptuous restaurant and beachfront bar offering the perfect, isolated ambience loved up couples adore. 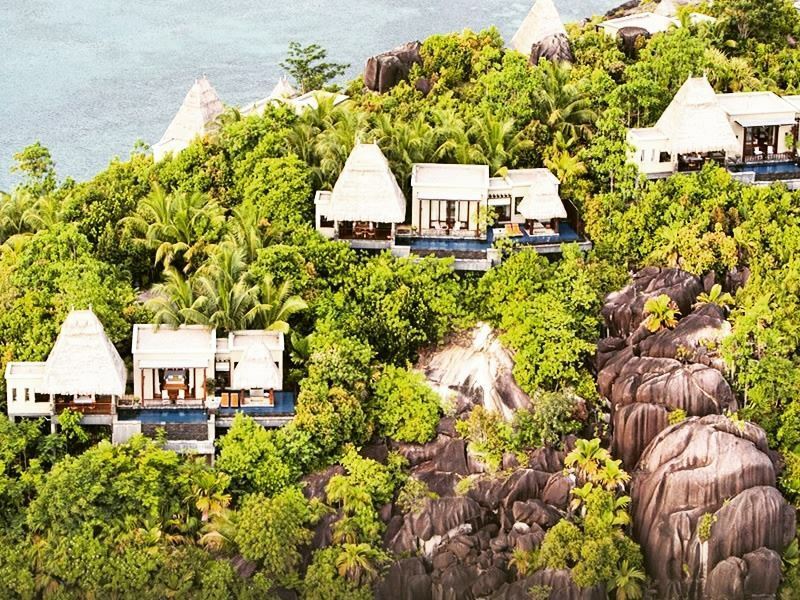 The stay: With only 30 villas altogether, your stay at Maia is sure to be peaceful for the mind, body and soul. Our favourite is the Ocean Panoramic Villa – there’s really nothing quite like it. Walk through your private gate and you’ll be graced with a dramatic, panoramic view of the Indian Ocean, seen from a comfortable outdoor living area with a bar, a cliff-side infinity pool, and an outdoor furnished cabana seemingly ‘floating’ on the water. There’s even an open-air bathroom sheltered only by a Balinese style roof, overlooking the jaw-dropping jungle clad cliffs. Inside, the décor is lavish, blending modern décor with a chic Balinese style. The best bits: Of course the spa here is very impressive, but why not have a massage treatment on your balcony terrace? With views like those at Maia, you’ll be feeling Zen even before your treatment begins. 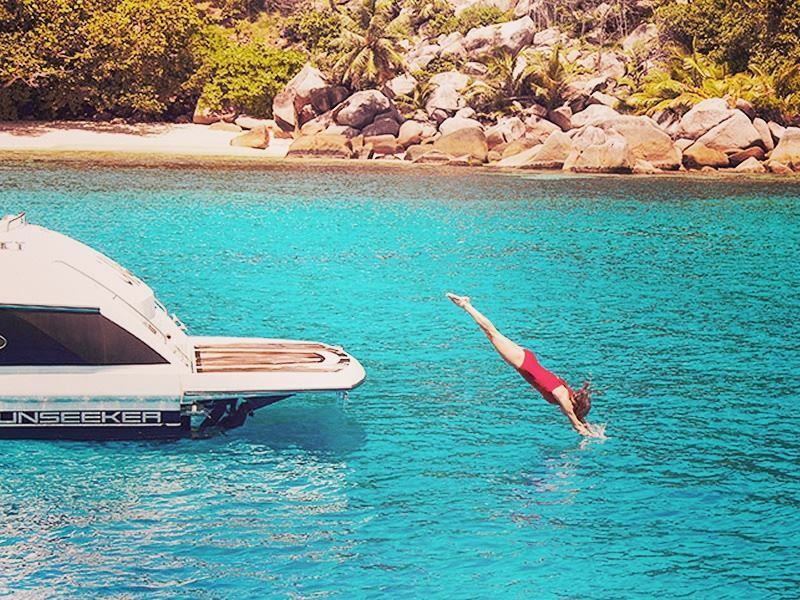 There’s even the opportunity to take a diving course in your infinity pool, if you so desire. The setting: Located on its own small private island – it only takes an hour and a half to cycle the whole perimeter. To get there, there’s only one half an hour flight from Mahé a day. The scene: This is pure barefoot luxury, a luscious jungle with pretty villas hiding amongst the trees alongside exotic, indigenous birds and giant tortoises. You’ll even be greeted by the duty manager as soon as you step off the plane, only adding to the luxurious yet welcoming ambience the hotel embodies. The natural surroundings are important to the hotel’s charm – the island is home to its own farm and environment conservation, and most of the tropical forests are completely unspoiled. It certainly is the simple life here – walking around barefoot is the norm, you’ll only find WiFi and a TV in the small library, the bright blue waters offer wonderful snorkelling opportunities, and you’ll have your own bike to explore the vast area. The stay: The villas here are so secluded; you’ll feel like you’re on your own deserted island. No matter which home you choose, you’ll have direct access to the beach, whilst all bar the Beach Cottage have a verdant garden area with an outdoor daybed and terrace. The open-air bathroom adds to the simple life feel of the place, whilst the indoor décor is quaint yet modern, making it feel like a gorgeous beach house. The best bits: The barefoot luxury vibe and lack of communication from the outside world really will relax you, fully getting away from the daily grind and getting back to nature truly feels luxurious. It’s so laidback here that you don’t even need shoes in the restaurant, and during the day you’re left to do whatever you please – whether that be snorkelling, cycling, or simply lying back on the beach.